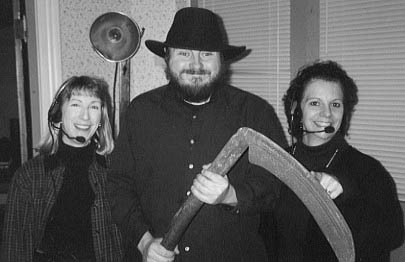 Meet the Spirit Walk team: Directors Sharon (left), Tom (aka The "Grin" Reaper), and Nancy. 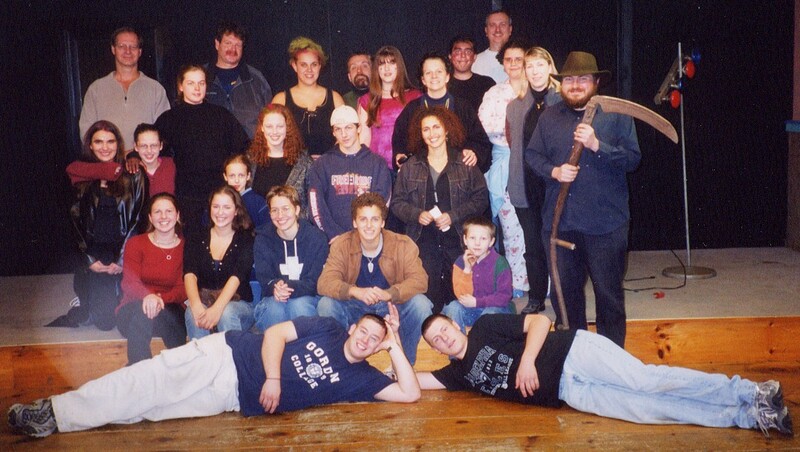 Here's a photo of the 2003 Spirit Walk cast and crew. To view a gallery of 2003 Spirit Walk photos, click here. And "Where's Waldo" fans. In the Spirit Walk gallery, how many familiar faces you can spot? Some Spirit Walk / Team alum faces to look for: Directors Nancy (#41 in the Team galleries), Tom (00), and Sharon (31), plus Olga (24), Mark (70), Vinny (11), Erica (10), and Greg (98). To say nothing of all those Team offspring! Hey, maybe we're not getting old after all. Like Pan & Wendy and those Toys R Us ads, the Spirit Walk reminds us "Whoever told you you have to grow up?!" 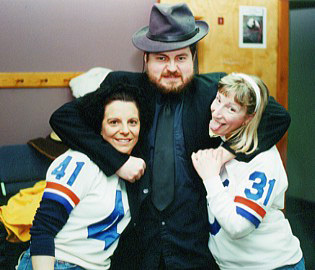 And, once again, Spirit Walk Directors Nancy (#41), Tom, and Sharon (#31), this time at the January 2004 Team reunion. Tom wonders why he's typecast as the Devil or Grim Reaper, except when he's playing Satan or a politician.